Search engine optimisation is defined as the process of improving the visibility of your website in search engine result pages through various actions that include on-site optimisation, copywriting, link building and various other on and off page activity. It’s challenging to rank a website high in just one country but optimising a website by an International SEO Agency for an international audience is much more complex and even more factors come into play – not the least of which is the language barrier. In 2011, the international e-commerce market was estimated to be £422 billion, and it grew to £1.2 trillion in 2015 and it is estimated to grow to £2.57 trillion in 2019. This growth clearly shows the potential and possibilities of international e-commerce for any online businesses. We have run many highly successful SEO campaigns for UK businesses and have successfully expanded those campaigns worldwide and are now an experienced International SEO Agency. In the process, we have gained a lot of experience in successfully running international SEO campaigns and we are aware of what it takes to get results in international markets. Our international SEO campaigns involve detailed analysis of the market, specialist tools developed in-house and established processes that have proven to be successful. For international search engine optimisation services, we build on the foundation of domestic SEO and then expand it by layering on local knowledge. This “localisation” moves beyond “just” languages and ensures your business talks more than just your target markets language.These actions taken at the start of an international SEO Agency help plan out and you to understand how things are likely to progress. Our on-site optimisation process includes everything ranging from meta data writing to in-depth keyword research to technical adjustments to maximise the potential of your business. Our team of gifted and highly experienced technical account managers and analysts will ensure that everything is taken care of to help your business reach its maximum potential. We have a diverse team of specialist Link builders who ensure high quality link building is actioned that follows Googles guidelines to earn links that are likely to have the biggest impact on your site’s rankings. For international SEO campaigns, our team strives to get high-quality links in your target market as it tells Google that your website is relevant in there as well as in the domestic market. This is where have specialists that will really help your international expansion and few agencies can off local links in your target market that have the kind of reach that ours do. Creating content that is not only great for search engines but also equally appealing to the website visitors – getting the balance right can be challenging. We have a specialist team of creative and experienced SEO copywriters to create optimised copy for a website as part of the SEO campaign. Having fresh and new copy / content on your site is important so we can craft anything from blog posts, through to press releases and reviews, all with SEO as well as visitors in mind. International (and indeed local) search engine optimisation is all about optimising a website to rank higher than the competition but the competition needs to be identified first. We need to know what they are doing and what needs to be done to beat them. For this, we have developed expert processes and tools that allow us to identify the competition and take action to understand their tactics and then outrank them. Our team have a variety of professional tools and strategies they use which are designed to take care of keyword research, international link building and competitive analysis among other things. 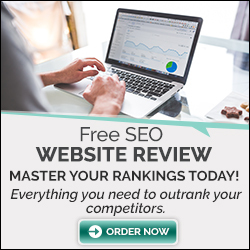 The competition analysis allows us to make an informed decision about things that need to be done right at the beginning of the SEO campaign. This analysis also makes you aware of the competition and allows us to give you an estimate of the time it will take to see results. You will also get your own SEO account manager who will take you through the process and answer any queries you might have. Our team of international SEO experts can help whether you want to begin a campaign from square one to expand your business internationally or if you’re already running a campaign that needs a little boost. Give us a call or get in touch by filling the contact formif you want a team of experienced international search engine optimisers with proven results to help you take your international business to the next level. Contact us today for A Completely Free Audit of Your Website .We will explore various digital marketing strategies with you to help you achieve your business goals. Browse Here for more information on SEO Company Brighton .